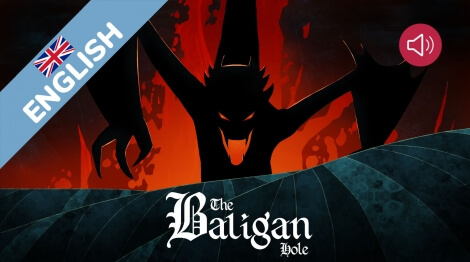 The Baligan hole, a story makes for the bravest one! This legend tells that in a small Norman village all its inhabitants are convinced a terrifying dragon lives in a cave near the coast : Baligan. To prevent him to come out, the inhabitants were willing to all sacrifies... Even to sacrifice their own children. Yet one day, Olaf the Viking warrior came to the village... Will he be able to save the inhabitants of this awful fire monster ? Animated digital story, told by Siobhan Hernon, 17 pages. A digital book for children over 10 years old!